This is an N Scale 3mm x 1-1/4" x 24' Continuous Roll of Track-Bed from Woodland Scenics. I love the Woodland Scenics foam roadbed. It&apos;s far easier to use than cork, forms curves very nicely without kinking, and deadens the noise quite effectively. And the price point is perfectly matched with it&apos;s value. 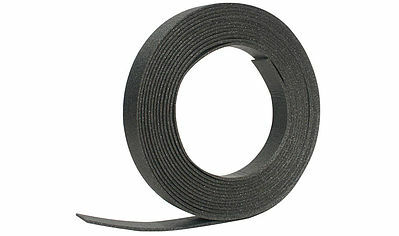 One N Scale 3mm x 1-1/4" x 24' Continuous Roll of Track-Bed. These track beds just work really well. They are easy to put down (cut them along the center for tighter turns) and provide a solid cushioning for the tracks.Just keep in mind that you will need foam glue to attach the roadbed to the base, and the tracks to the roadbed.